Where is the West’s compassion and condemnation following terror attacks in Middle East? When other broadcasters were reporting on today’s terrorist bombings in Damascus that killed at least 50 people and injured more than hundred, BBC news at 1:00 pm was devoted instead to tributes to former radio DJ and TV presenter Terry Wogan who died from cancer aged 77. At five o’clock (shortly before I began reposting the article below) BBC news was still devoting almost its entire broadcast to tributes and features on Terry Wogan, whilst the victims of the Damascus suicide bombings received only the briefest mention as part of a three or four minute slot which covered the Geneva talks. Then it was back to the tributes. A stark contrast to the media outcry after atrocities are committed on the streets of Western Europe, or whenever similar numbers of innocent victims are murdered in a American shooting. This is more than hypocrisy, it is propaganda by omission. The silence is calculated and deliberate. Where is the West’s compassion & condemnation following terror attacks in Middle East? 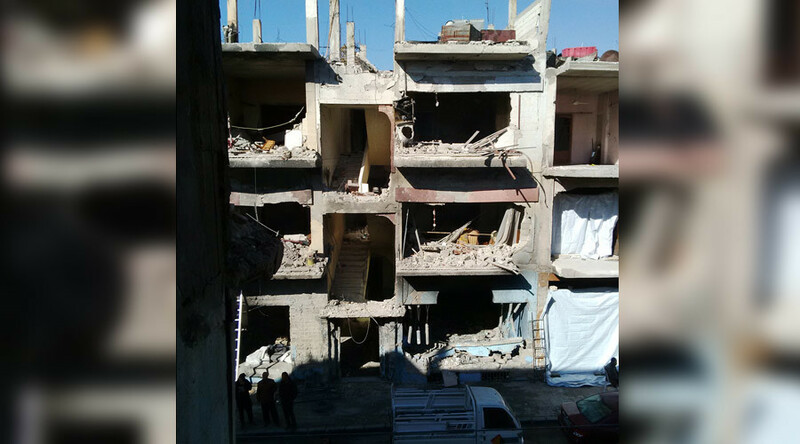 Site of the terrorist car-bombing on December 12, 2015, in al-Zahra’a, Homs. Adel Termos, the hero who prevented further loss of lives. But it is not described in terms of its reality, a district comprising a majority of Alawis, but also significant numbers of Christians, Sunnis, and Shia, many of whom are Internally Displaced Syrians who have moved to this “government held” area after fleeing the terrorists’ violence in their own home areas of Aleppo, Idlib, and elsewhere. 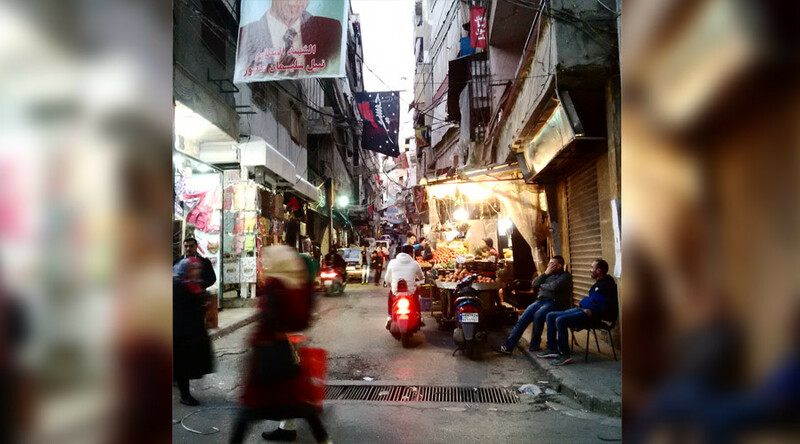 The depiction of al-Zahra’a merely as “an Alawite” district is in line with the NATO alliance’s sectarian project in Syria, a sectarianism which the vast majority of Syrians continue to refuse. Depicting al-Zahra’a merely as a “government held” area feeds into the Western narrative of obfuscating on the vast amount of support for the Syrian president, and further confuses readers as to the civilian suffering at each terrorist attack in al-Zahra’a. 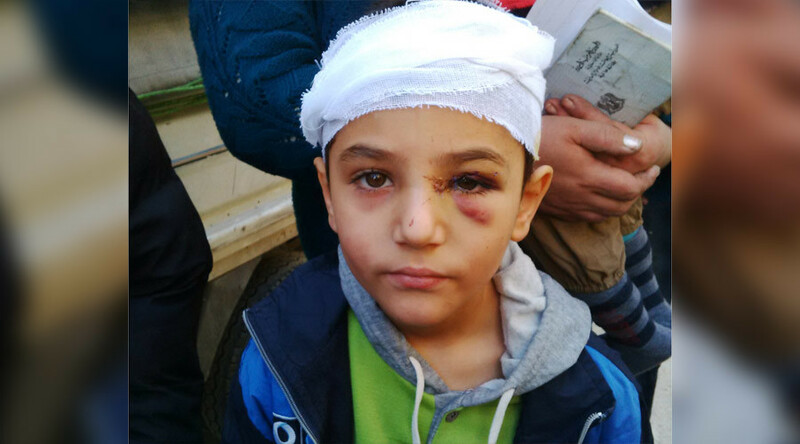 Visiting al-Zahra’a one sees a vividly different face, a tormented face, than that which the corporate media allows. Many human stories abound, if journalists care to convey them. The sad hypocrisy is that when terrorist attacks occur on Western soil, these human stories are conveyed, ad nauseam. These letters are routinely ignored by UNSC and the Secretary-General, although they are based on the tenets of UN resolutions pertaining to terrorism. In its latest letters, following the January 24, 2016 terror-bombings in al-Zahra’a, the Ministry noted the significance of their timing with respect to the upcoming Geneva talks. When the majority of the above-listed terror bombings have been claimed by Da’esh (ISIS), whom the West claims to be fighting, the glaring lack of condemnation of the Homs bombings, and the one-off condemnation of the Beirut bombings, reveals again the blatant hypocrisy of Western leaders. In a search of the Whitehouse.gov website, using key terms like: “Bourj Barajneh”, “Burj al-Barajneh”, “Beirut”, “Zahra”, “Zahraa”, “Homs” + bombing, I came up with just one match, aside from the above-mentioned November 21VP Biden’s uttering of the name “Beirut” before his ode to Paris. The entry was a Statement by NSC Spokesperson Ned Price, on the day of the Bourj al-Barajneh attacks. Neither Obama, nor Biden, deigned to personally make this statement. † Eva Bartlett is a freelance journalist and rights activist who has lived in the Gaza Strip since late 2008. She was aboard the Dignity, one of five Free Gaza missions to successfully sail to the Strip in 2008. Eva rode in ambulances during the 2008/2009 Israeli attacks on Gaza, and documented from a central Gaza hospital during the November 2012 Israeli attacks. She has worked extensively with Gaza’s fishermen and farmers, accompanying them as they come under fire from the Israeli army. She keeps a blog In Gaza. This report was also published by Russia Today on Jan 30, 2016. “Guest: Eva Bartlett, Canadian journalist, who has visited Syria four times in the past three years. Mainstream media reporting and NGO social-media posts about starvation in the Syrian village of Madaya are designed to elicit an emotional response and build support for military intervention in Syria. Reality on the ground there, and elsewhere in Syria is ignored. I would like to thank Eva Bartlett for allowing me to repost this article.